President Donald Trump defended his promise to build a solid border wall all along the U.S.-Mexico early Monday, one day after outgoing chief of staff John Kelly said in an interview that erecting a concrete wall along the entire border was already off the table. “Some areas will be all concrete but the experts at Border Patrol prefer a Wall that is see through (thereby making it possible to see what is happening on both sides). Makes sense to me!” he tweeted. Trump blamed the media in the tweet, even though Sunday’s news cycle reported on Kelly’s comments. 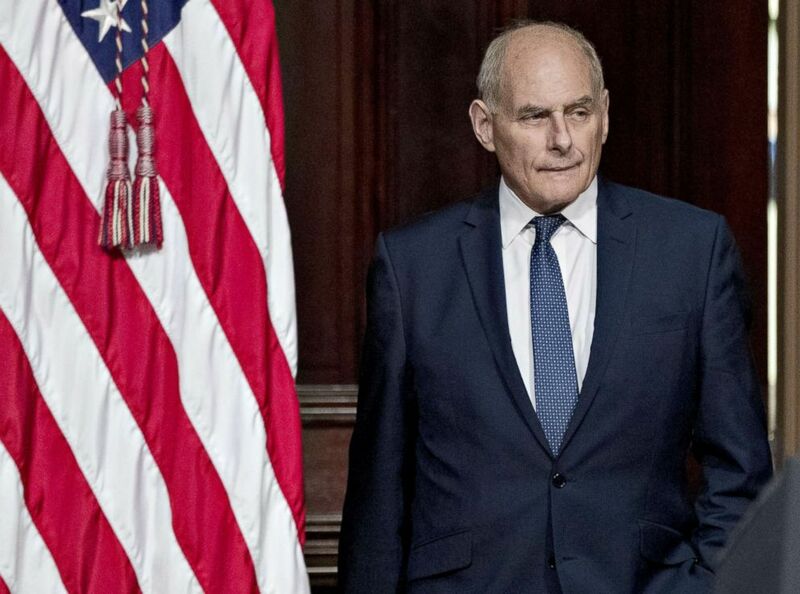 In an interview published in the Los Angeles Times Sunday, Kelly, who will be leaving the post this week, gave a wide-ranging account of the some of the president’s policies, including immigration and the border wall. “To be honest, it’s not a wall,” Kelly he told the paper. John Kelly, White House chief of staff, attends an Interagency Task Force to Monitor and Combat Trafficking in Persons annual meeting in Washington, D.C. in this Oct. 11, 2018 file photo. The interview comes as Trump is feuding with Democrats over funding for a border wall and security. Kelly described in the interview coming into the job in early 2017 and seeking advice from border patrol agents, among others who secure the area. “They said, ‘Well we need a physical barrier in certain places, we need technology across the board, and we need more people,’” he told The Times. Some 700 miles of border fencing along the nearly 2,000-mile border already existed by the time Trump came into office. Much of it was erected after the Secure Fence Act of 2006, signed by President George W. Bush, went into effect, and the building continued through the Obama administration. Kelly added the president uses the word “wall” often, but acutally uses “barrier” or “fencing” to describe security measures along the border.